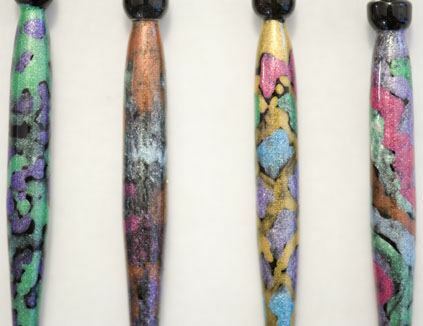 A range of hand painted ebony bobbins using iridescent paints to reflect the naturally occurring patterns and colours found in mother of pearl, abalone, agate, marble and semi precious stones. No two bobbins are the same! Hand painted by Kate Flood.